29.01.2019: UP LT Grade Teacher Of Social Science Subject Results May release On Or Before 06 February 2019. Uttar Pradesh Secondary Education Council has recently announced 9832 Posts for LT (Licentiate Teacher) Grade in Rajkiya Inter Colleges for various Subjects. The Application form has successfully Submitted by Candidates. All the Candidates Who is interested in Uttar Pradesh LT Grade Teacher Recruitment filled there application from till the decided last date of Submitting the Application form 2018. Merit List will be Prepared based on the % of Marks in High School, Intermediate & Graduation. Marks of Training in LT/ B.Ed will also take into account. All the Marks will be added, which will be countable from 100. Selection Process is Based on UP LT Grade Teacher Merit List 2018 which is prepared by UP Secondary Education Council. Final Selection will be based on Merit of the candidate after the Written test. Aspirants who have completed graduation/ LT or B.Ed will be applicable to take part in the counseling which will be scheduled later. Recently on 29th July, the UPPSC conducted LT Teacher Exam 2018 at various exam center in Uttar Pradesh. Contenders who are appear in the exam now they are able to download UPPSC LT Grade Teacher Result 2018. The UP PSC LT Teacher Exam conducted on 29th July successfully. It is expected that the examination body declare the UP LT Teacher Result 2018 in Aug- Sept. Candidates can check the UP PSC LT Teacher Cut off District wise also. We will update here on this page a official link of UP LT Teacher Exam Marks 2018 after the official announcement. You can also check the UPPSC LT Teacher Merit List. So candidates can visit our page on Regularly basis. All the Candidates gave there 100% in the Exam and Result for LT Grade Teacher will be given soon, as Government want to wrap up this Recruitment Process very soon to provide Teachers in Colleges. Now the Candidates are Desperately waiting for there Exam. 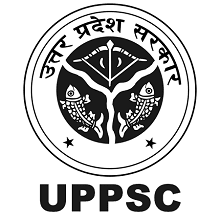 The Result of Above Posts Exam will be Declare Soon on the Official website of UPPSC. Visit the UPPSC official page. Fill your Roll No & D.O.B in the box and submit it. A PDF file will be open of your UP LT Teacher Merit List.